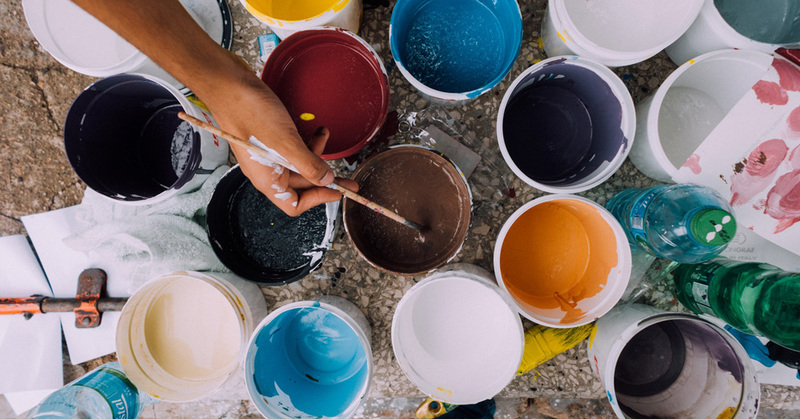 Live in Color – But Not Too Boisterously – Alliance Title & Escrow Corp.
There’s nothing like a fresh coat of paint – it’s a relatively easy way to liven up your home, especially if you’re looking at putting it on the market. But if you’re trying to appeal to a specific homebuyer audience, it’s important to critically decide which colors you’d like to introduce to the space. Behr’s 2019 color of the year can give you an engaging idea of the direction to go when giving your home a new personality; Behr describes their color of the year as “an honest, approachable color that conjures up the blueprints builders rely on to bring architectural designs to life” – so what will your color choices bring, and what colors should you avoid? Apparently dark brown is a color most people should avoid when painting their home – bedrooms painted in this color sold for $236 less than expected. Unfortunately, all grays are not created equal. Lighter grays help a home’s price point by $1,104 – but a darker gray will lose you money when it comes time to sell. If you’re wanting to pick the popular grays, think mauve, eggplant, or a shade of gray lavender. Colors bring personality and life into a home – it’s important to seriously select the colors you want your home to portray. Keep in touch with Alliance’s blog to stay in the loop with the latest real estate news.